The Star-studded Cast Of "Murder On The Orient Express"
Everyone is treated as a suspect, even a powerhouse cast that includes Johnny Depp, Daisy Ridley, Judi Dench, Penélope Cruz, Michelle Pfeiffer, Josh Gad, Derek Jacobi and Willem Dafoe in the thrilling and breathtaking greatest detective story of all time in “Murder on the Orient Express.” Catch the full trailer here. 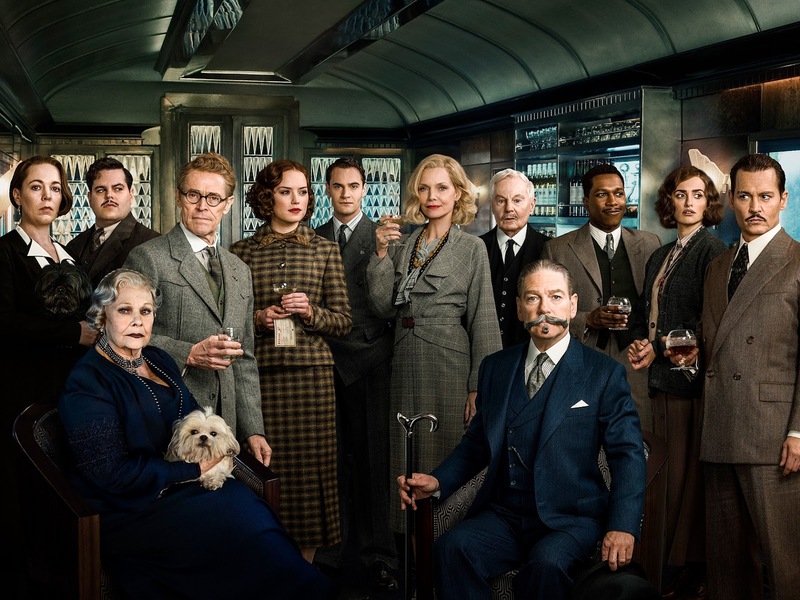 “Murder on the Orient Express” is directed by Kenneth Branagh, who also stars as the legendary detective Hercule Poirot who races against time to discover the identity of the murderer before another murder is committed. The exciting mind-boggling movie takes the audience on a train ride through Europe – from Istanbul to London, back in time to the Golden Age of rail travel. As the story unfolds, someone is murdered where thirteen strangers are stranded on the train in a snowdrift. Every one of them is a suspect. Transported into a world of glamour, opulence and danger, nothing is as it seems on the Orient Express, as we are swept up in an intriguing tale of deception, loyalty, love and revenge. Climb aboard nationwide when “Murder on the Orient Express” opens this November 29 in cinemas from 20th Century Fox to be distributed by Warner Bros.